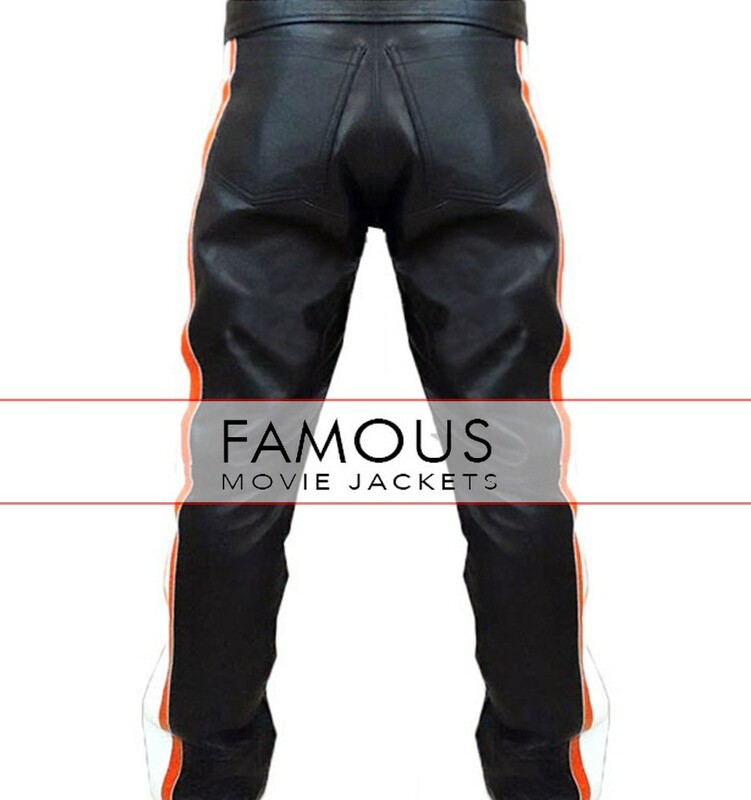 We as famous movies jackets not only deal in jackets but we have a wide range of leather pants as well. 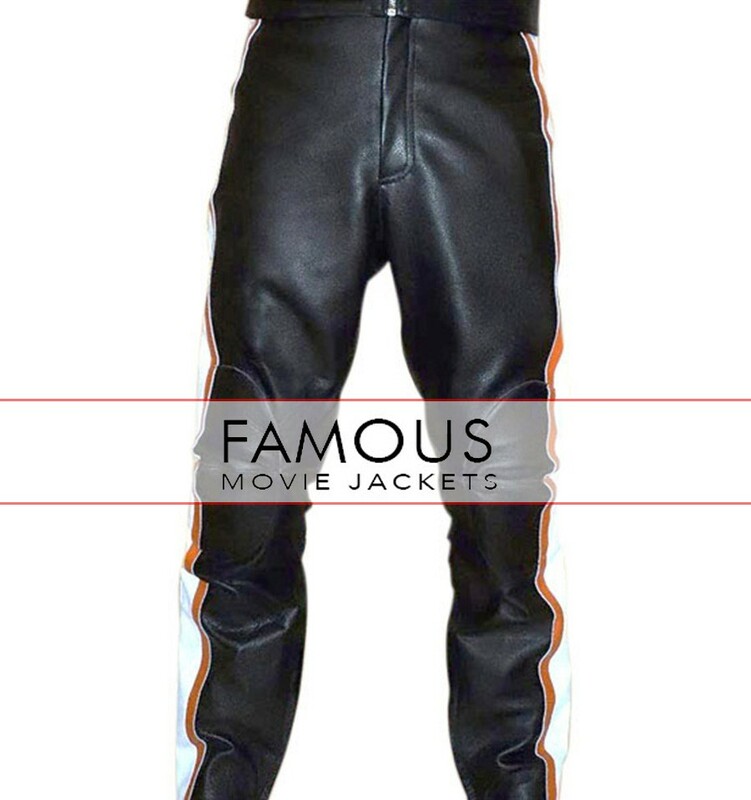 Here we present replica pant of Mickey Rourke which he wore in the movie Harley Davidson and Marlboro Man. This pant made of real leather. 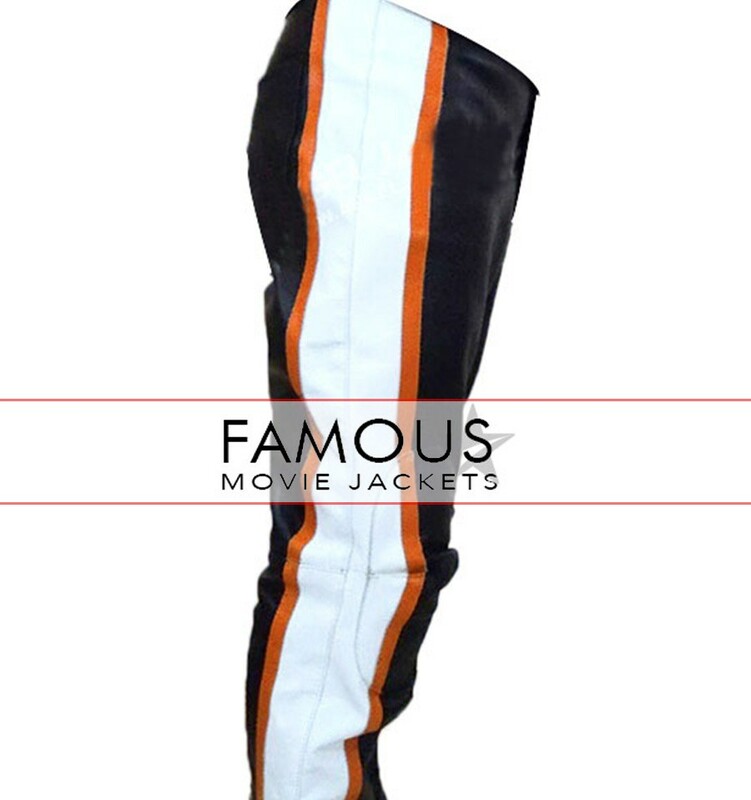 This pant is available in black color with orange and white stripes which makes this pant trendier. It has two back pockets to keep your values. You can wear this pant as casual and formal wear. brought this Harley Davidson jacket few months ago and last month i want the pant also so i contacted to them and order them, very caring staff they confirm all my size after ordering the item and we have good deal i received what i pay no more obligation now. length of the pant is 2 inch bigger but i can adjust it leather material and stitching of the pant is very good i found my parcel very good and ready to wear my item soon.